"I met Reto while skating in LA and I have appreciated his help while training in the summer. His understanding of the modern game and creative use of technology helped give perspective to the drills. I think his easy-going demeanor makes talking about goaltending fun and engaging. His personality and his preparation make him a great asset for a goaltender." “I've worked with Reto a few times now and have really enjoyed it. He has a positive demeanor about him that I think is so beneficial to goalies during a long season. His understanding of the position and the mental side of things is as good as any that I've worked with." “Reto has always helped me analyzing my play in practice and games. “Reto Schurch is outstanding Goalie Coach. Real Team Player! He is great to work with. He builds good relationship with his athletes and he finds the goalies strengths and points to improve. He works methodically and everything is well planned and organized: on- and off-ice work, statistical data, video feedback, scouting. “I had the pleasure of working with Reto Schurch with excellent results. We won the Championship with SC Bern. He is a very competent coach, a good communicator, and a dedicated team player. I recommend him without reservation." “I've worked with Reto during 2 seasons with the Rapperswil-Jona Lakers. His competences as well as his character are excellent. He is a very loyal guy and with his national and international experience, he is a great asset for the coaching team. Either as a goalie coach as well as assistant coach, he knows the hockey in all aspects and is a thru." “In the summer of 2016, I had the pleasure of getting to know, and working with Reto Schurch. 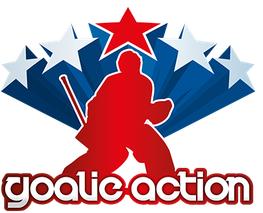 Reto came highly recommended by a friend, and he said Reto would be a great addition to our high- end NHL goalie camp.